SOCIAL SECURITY - Why Should I Wait Until Age 70? 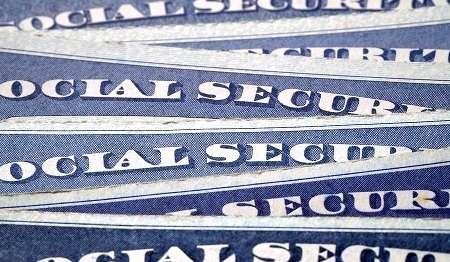 According to the Social Security Administration, 43% of Americans file for Social Security Benefits at age 62. Approximately 9% wait beyond age 66. Of course, there will be situations where the need for income is a priority, and early benefits may be the only option. But in many cases, the benefits of waiting until full retirement age or even beyond is never explained accurately to retirees. Delaying benefits until the age of 70 will not only increase monthly benefits for individuals throughout their lifetimes but also provide a life-insurance benefit to their surviving spouses. The Full Retirement Age (FRA) for those born between 1943 and 1954 is 66-years old. The option to receive retirement benefits is available at age 62, but there will be a reduction in benefits for early filing. There may also be a limitation on your benefits if you continue to work or go back to work before reaching full retirement age. However, waiting beyond age 66 until age 70 has the benefit of an 8% increase in payments each year. Not only is the 8% a guaranteed tax deferred increase, but it also increases the potential survivor benefit for your spouse. For example, Joe, who is 62 years-old, is deciding whether or not to receive benefits early. Joe requests an online report on his calculated Primary Insurance Amount, which is the amount he is scheduled to receive at age 66. Let’s assume the amount is $2,000 per month or $24,000 per year. The following are the amounts Joe would receive at ages from 62 to 70. Joe’s wife, Mary, is 58 years old, and when she checks online what her PIA would be at 66, it’s projected to be $1,200 per month or $14,400 annually. The following scenarios will not include cost of living adjustments, any possible spousal benefit payments, or penalties for working while receiving benefits prior to full retirement age. The one-time lump sum death benefit of $255 to the surviving spouse is not factored in the calculations below for survivor benefits. Scenario I – Joe files for early benefits at 62; Mary waits until 66 to receive her benefits. Joe would begin receiving $1,500 (see chart) a month at age 62, while Mary will begin receiving her $1,200 at age 66. The combined eventual benefit would be $2,700 per month ($32,400 per year). If Joe passes away before Mary, the survivor benefit she will receive is $1,500 per month ($18,000 per year), which is what Joe was entitled to receive. Her benefit increases by $300 ($1,500 - $1,200) per month, or $3,600 per year. If Mary passes away before Joe, there will be no survivor benefit for Joe as his retirement benefit of $1,500 is greater than Mary’s $1,200 per month (Survivor is paid the greater of the two amounts). Scenario II – Joe receives his benefit at age 66; Mary waits until age 66 to receive her benefits. Joe would begin receiving $2,000 (see chart) a month at age 66, while Mary will begin receiving her $1,200 at age 66. The combined eventual benefit would be $3,200 per month ($38,400 per year). If Joe passes away before Mary, the survivor benefit she will receive is $2,000 per month, which is what Joe was entitled to receive. Her benefit increases by $800 per month ($2,000 - $1,200) or $9,600 per year. If Mary passes away before Joe, there will be no survivor benefit for Joe as his retirement benefit of $2,000 is greater than Mary’s $1,200 per month (Survivor is paid the greater of the two amounts). Scenario III – Joe delays his benefit until age 70; Mary waits until age 66 to begin receiving her benefits. Joe would begin receiving $2,640 (see chart) a month at age 70, while Mary will begin receiving her $1,200 at age 66. The combined eventual benefit would be $3,840 per month ($46,080 per year). If Joe passes away before Mary, the survivor benefit Mary will receive is $2,640 per month, which is what Joe was entitled to receive. Her benefit increases by $1,440 per month ($2,640 - $1,200) or $17,280 per year. If Mary passes away before Joe, there will be no survivor benefit for Joe as his retirement benefit of $2,640 is greater than Mary’s $1,200 per month (Survivor is paid the greater of the two amounts). The above scenarios are meant to demonstrate that optimizing and coordinating benefits between married couples can involve additional factors that require careful and thoughtful analysis. Carr Wealth Management, LLC can help you determine the optimal strategies for you. Please contact us if you have a question or would like to schedule a free initial consultation.